We just talked about a levitating wireless charger the other day. Levitation Works has brought their own similar product on Kickstarter. 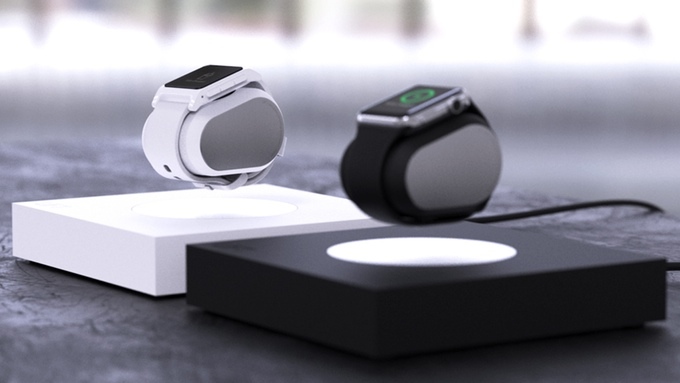 The Lift is a smartwatch levitating charger for the Pebble and Apple Watch. Although, this device does much more than charging a smartwatch. Let’s take a look this levitating wireless charger has to offer. The Lift has three different configurations: a smartwatch charger, Qi wireless charger, and smart lamp. A Pro version is also available which has an added dock for the iPhone 6 and iPad devices. Let’s start off with the main feature, the levitating wireless smartwatch charger. You may charge all Pebble and Apple Watch versions using this device. Just wrap the smartwatch around the levitating Lift charger and place it over the wireless charging base. The Lift smartwatch charger will float and slowly turn while it charges your smartwatch. The charger also works as a handy little powerbank. It has 800mAh of battery capacity to give a few full charges to your smartwatch. You may also charge other devices through its 5v USB port and give your smartphone a little extra juice. 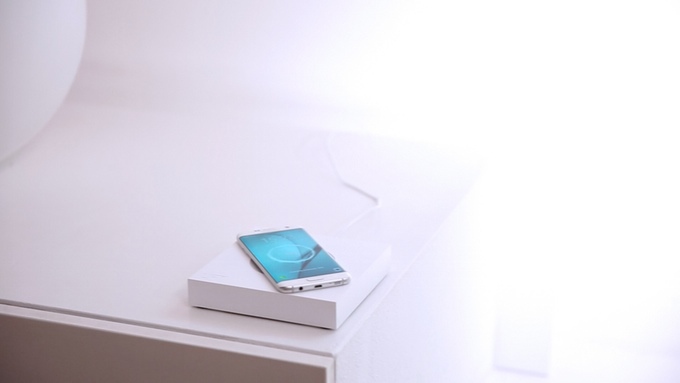 The Lift and Lift Pro are both capable of wirelessly charging your smartphone. You can charge any Qi-enabled device on the base. Your smartphone won’t be floating like the OvRcharge, but nonetheless, it’ll still charge your device. Although you can’t charge your smartphone and a smartwatch at the same time, unless if you get the Pro version. The smart lamp, also called the Orb, is the first wireless smart lamp made. The Orb has around 100 Lumens of brightness and a built-in battery. You can use this when you have nothing to charge or if you don’t own a smartwatch. The Orb floats nicely over the Lift wireless charger and you can simply tap it to turn it off and on. If electrical emergencies happen, you can simply grab the lamp and go, the light won’t turn off. It has a built-in battery which you can use to keep the light on, and you can also magnetically stick it to metal surfaces. Pledge $249 on Kickstarter to grab yourself the basic Lift levitating wireless charger and Orb. Hello. Whatever happen to the “Lift” wireless charger from Kickstarter?? I really like that thing!!! I was hoping to get a couple! !